Through real-time assessments of how the patient's nervous system is functioning throughout a surgical procedure, Neurophysiology in Neurosurgery presents vital techniques to guide surgeons in their efforts to minimize the risks of unintentional damage to healthy nervous tissue. This book provides a comprehensive overview of the most up-to-date intraoperative neurophysiological techniques and guidelines for the managment of neuroanesthesia during MEP monitoring. Neurophysiology in Neurosurgery is a valuable educational tool that describes the theoretical and practical aspects of intraoperative monitoring through example. 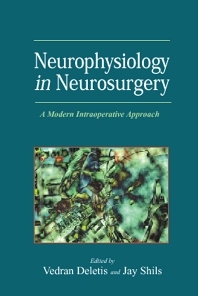 Neurophysiology in Neurosurgery is a valuable educational tool that describes the theoretical and practical aspects of intraoperative monitoring through example. The authors provide in-depth descriptions of the most advanced techniques in intraoperative neurophysiological monitoring and guidelines for the management of neuroanesthesia during MEP monitoring. Neurosurgeons, neurophysiologists, neurologists, anesthesiologists, interventional neuroradiologists, orthopedic surgeons, and plastic surgeons. Vedran Deletis, MD, PhD is the former Director of the Intraoperative Neurophysiology Department in St. Luke’s/Roosevelt Hospital and an Associate Professor at the Albert Einstein College of Medicine in New York. Dr. Deletis is the founder of the International Society for Intraoperative Neurophysiology (ISIN) and served as its first president. Afar he completed his doctoral thesis in Clinical Neurophysiology and for the last 25 years he has dedicated his career to the field of Intraoperative Neurophysiology (ION). He established a fellowship program for ION in New York in which so far 20 fellows have participated, and have successfully implemented their acquired knowledge and experience in their respective countries. He has published numerous papers in the basic field of ION, especially on ION of the motor system. Institute for Neurology and Neurosurgery, Beth Israel Medical Center, New York, U.S.A.